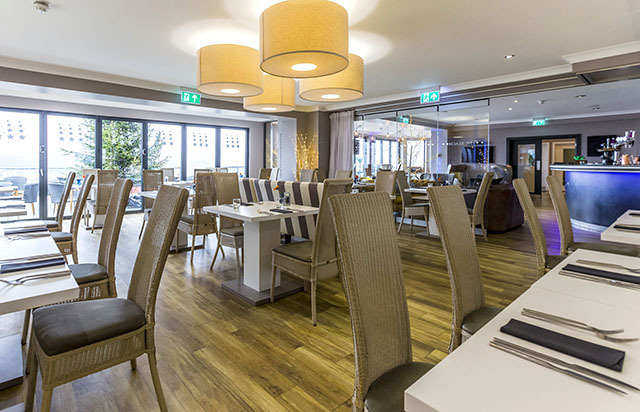 The Beach at Bude is a boutique hotel, which overlooks Summerleaze Beach in Bude. The hotel has 16 bedrooms, and two new family suites, and boasts a gorgeous terrace with ocean views, a huge, well-stocked bar with comfy leather armchairs and velvet sofas, and a stylish restaurant, which was awarded two AA rosettes in 2017. New head chef, Jamie Coleman, joined the team in January, and the hotel’s popular set lunch menu has recently returned, so it seemed like the perfect opportunity for me to go and meet Jamie and try out his food. 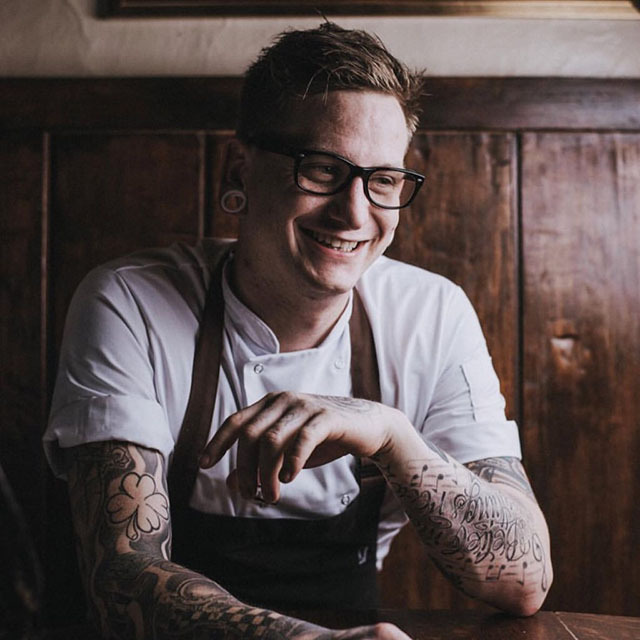 Jamie has spent time cooking with Gordon Ramsay and Michael Caines, as well as being head chef at Michelin-starred The Masons Arms under Mark Dodson. 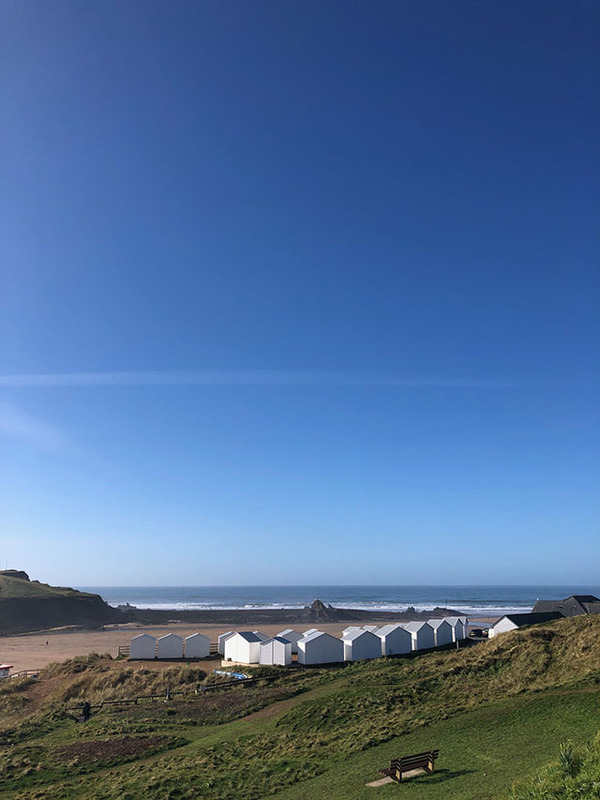 We chose a particularly photogenic winter’s day for our visit; Bude was bathed in sunshine with the first deep blue sky I’ve seen for a while. The restaurant is light and airy, and the sunlight was streaming in through the vast windows. The current set lunch menu is very reasonably priced, with two courses for £12.50, or three courses for £15.00. 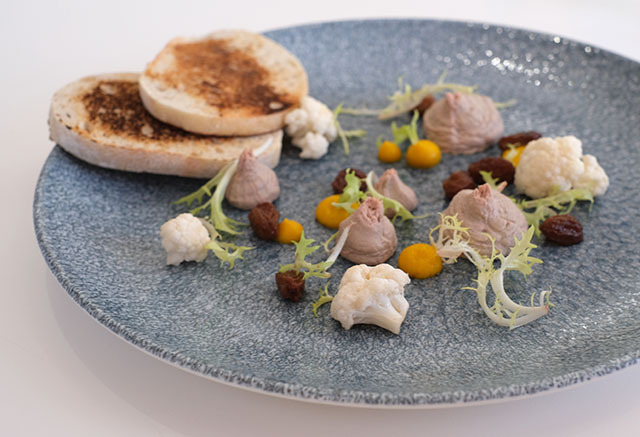 The chicken liver parfait was smooth and savoury, and was complemented by the different textures and sweet and sharp flavours of piccalilli, raisins and cauliflower. The roasted cod was my favourite dish of the meal, with heaps of flavour. 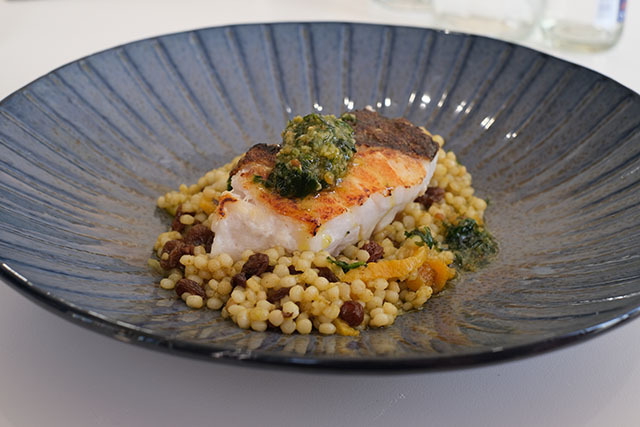 The portion was generous; the big, chunky and perfectly cooked piece of fish sat on a bed of giant couscous, and was topped with salsa verde. 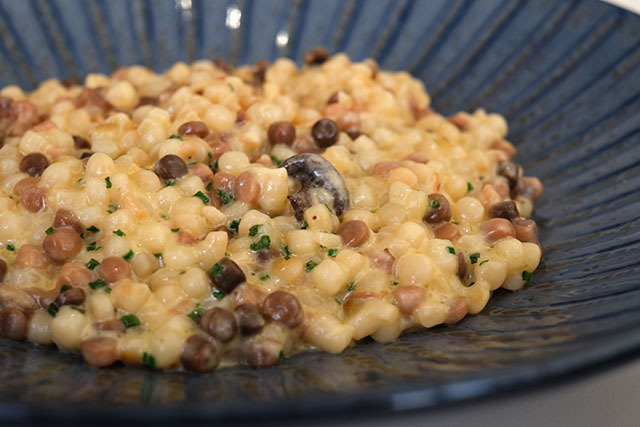 The truffle fregola was also really good, savoury and moreish. This was another big bowl of flavour, the pasta laden with wild mushrooms, parmesan and cream. 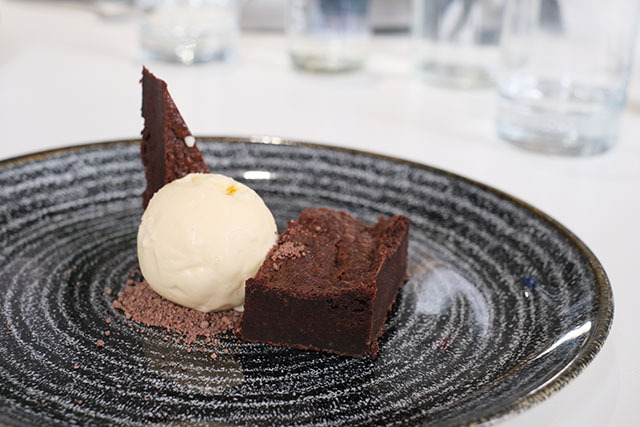 The chocolate brownie was dark, smooth and delicious, very grown up, and would have been plenty for two people to share. It was served with chocolate crumb and a scoop of vanilla ice cream. 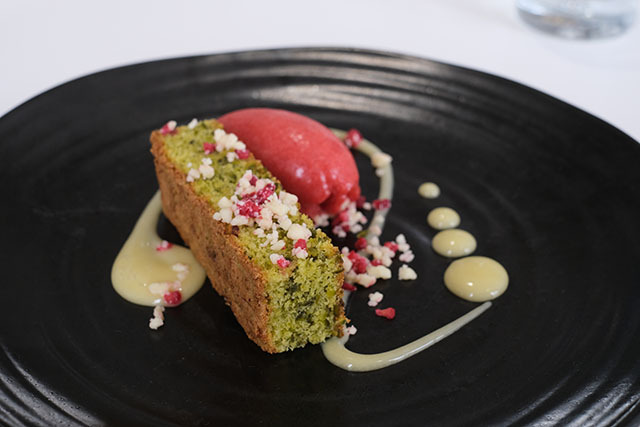 Last but not least, the pretty pistachio sponge was light and fresh, and accompanied by zingy lemon curd and strawberry sorbet. Feeling very full after so much lovely food we concurred that our meal was extremely good value, just £36.60 for three courses and drinks for two people. 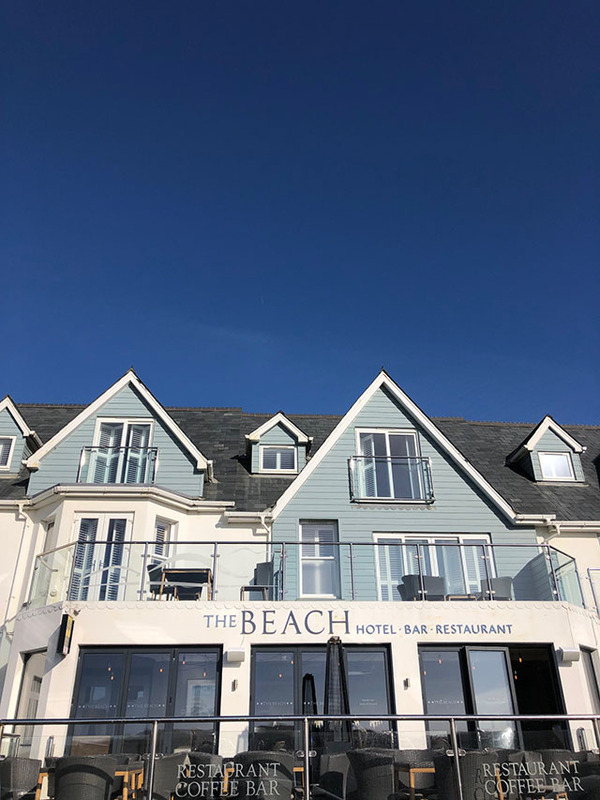 For more information or to make a table or room reservation, visit www.thebeachatbude.co.uk or phone 01288 389800. All photos by Ellie Michell, apart from restaurant and bar interior shots, by Clive Symm.